Maria's Space: Get Ready for Royal Fun with Princess Peppa! Get Ready for Royal Fun with Princess Peppa! Arrives October 10, 2017 with Limited Edition Plush! Peppa Pig: Princess Peppa, debuting October 10, is packed with 12 magical “peppasodes” from the top-rated Peppa Pig TV series seen daily on Nick Jr.! In the new DVD, preschoolers join Peppa and her little brother George as their bedtime story turns them into “Princess Peppa” and “Sir George the Brave”! Together, they meet a wizard, encounter a scary dragon and celebrate a huge party! The fun continues with a visit from the tooth fairy, a trip to a castle and a special drive to find a rainbow’s end! 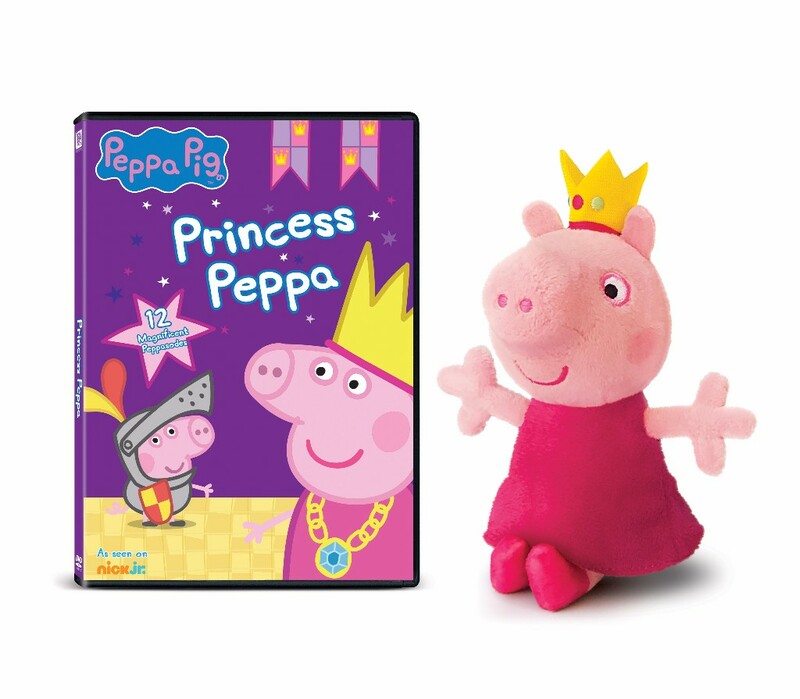 Each Peppa Pig: Princess Peppa DVD also comes with an “oinktastic” surprise – a limited edition princess Peppa plush, for even more imagination-inspiring play! Entertainment One’s robust network includes film and television studio The Mark Gordon Company; content creation venture Amblin Partners with Steven Spielberg, DreamWorks Studios, Participant Media, and Reliance Entertainment; leading feature film production and global sales company Sierra Pictures; unscripted television production companies Renegade 83; world-class music labels Dualtone Music Group and Last Gang; and award-winning digital agency Secret Location.